A favorite of caged and wild birds, chickweed is a hardy plant that also makes a wonderful and tasty tea. In fact, chickweed has been used for centuries for everything from the common cold to obesity, boasting very little, if any, negative side effects. Chickweed is commonly found throughout North America and Europe. The leaves and stems of chickweed are edible, with the branches of the plant appearing to sprawl over the ground. The seed pods of chickweed are quite dense, making the plant prone to spread easily. For this reason, chickweed is often used as ground cover in landscaping or gardens. Egg-shaped leaves and stalks that are smooth and flat distinguish the plant, along with flowers that appear in early spring. What is Chickweed Tea Good For? Most popular as a demulcent, it is thought that chickweed forms a protective layer over mucous membranes. Other examples of natural demulcents include honey and pectin. Chickweed tea can also be made into a poultice to treat skin conditions such as an abscess. What Does Chickweed Tea Taste Like? Chickweed tea offers a fresh leafy flavor that is very light and not hard on the stomach. While not as thick in tea form, the taste is comparable to a green smoothie or pesto made with crisp greens. Chickweed is neither sweet nor bitter, leaving a very slight grassy aftertaste that is typically though of as pleasant. Chickweed blends beautifully with a wide range of other herbal teas including dandelion, ginger and green teas. Adding a touch of lemongrass or mint in the summer creates an invigorating beverage, while adding herbs like sage or rosemary in the winter offers a spicier more warming effect. Any clean tasting tea complements chickweed beautifully for a clear pure flavor. Anti-viral properties – A recent study reported by the National Institutes of Health, found that chickweed works as a potent anti-viral against hepatitis B, with an inhibition rate of 27.92% and 25.35% after only 6 days of treatment. Astringent properties – Using chickweed tea or a poultice on the skin for acne, dermatitis and conditions that cause itching is thought to be effective due to the presence of vitamin C and flavanoids, according to the University of Michigan. Demulcent effect – Chickweed also helps calm coughs and ease the effects of the common cold by coating the mucous membranes. Chickweed tea has a cooling effect that many people find soothing, possibly due to the presence of silicon. Expectorant action – Also helpful in removing excess mucous from the lungs, chickweed works much like Mucinex or other name brand expectorants. Laxative effect – Chickweed also works as a mild laxative and is considered much safer than stronger teas like senna, which can cause GI issues in some people. Chickweed is a delicate plant that features small oval leaves with a slight line of hair that is noticeable upon close inspection. The stems and leaves often appear tangled and wild, with tiny white flowers. Chickweed is rich in ascorbic acid or vitamin C, fatty acids, biotin, potash salts, choline, inositol, copper, minerals, phosphorus, sodium rutin, silicon, and vitamins B6, B12, and D.
Are There Any Side Effects from Chickweed Tea? There is very little reliable scientific research regarding chickweed, although it has been used for centuries and is commonly consumed. Chickweed is thought to be safe for most adults, but due to a lack of information is not recommended for children, pregnant women or women who are breast-feeding. There are no known interactions between chickweed and other herbs or medications, and chickweed has no known negative side effect of note. Chickweed may be used in fresh or dried form, although fresh is always best. Typical dosage of chickweed is 1 to 5 tablespoons per day for tea, split up into multiple cups throughout the day. Many types of teas contain amounts smaller than 1 tablespoon, particularly those that are blends. For a higher chickweed concentration, choose a tea that is not blended or harvest chickweed while fresh. To make chickweed tea from dried leaves, simply steep 1 rounded tablespoon in one cup of water that is almost boiling. It is best to steep chickweed tea for up to 30 minutes when using for demulcent purposes. Drink 1 cup of the tea every 6 hours and before bed. While not as common or easy to find as uber popular teas like green leaf or chamomile, chickweed tea can be found online or in select health food markets. Popular brands of chickweed tea include Nature’s Tea Leaf, Celebration Herbals and Tea Haven, all of which offer varying products. Chickweed is also found in blends from tea giants like Yogi Tea and Prince of Peace. Virtually anyone can benefit from drinking chickweed tea, particularly those with a head cold or cold that has traveled to the lungs. Chickweed is also a great and inexpensive way to treat irritating skin conditions, while providing the antioxidant benefits associated with flavanoids and vitamin C. Chickweed is a wonderful alternative to sugary or caffeine dense commercial beverages, reducing the long list of negative side effects associated with these unhealthy types of drinks (obesity, fatigue, headaches). Chickweed is not only tasty, but it doesn’t have the negative side effects or interactions that can occur with so many herbal teas. That alone makes chickweed tea a ‘go to’ tea. The light invigorating flavor pairs with such a wide range of other teas, chickweed is truly versatile and a great tea for beginners who feel nervous about using medicinal herbs. 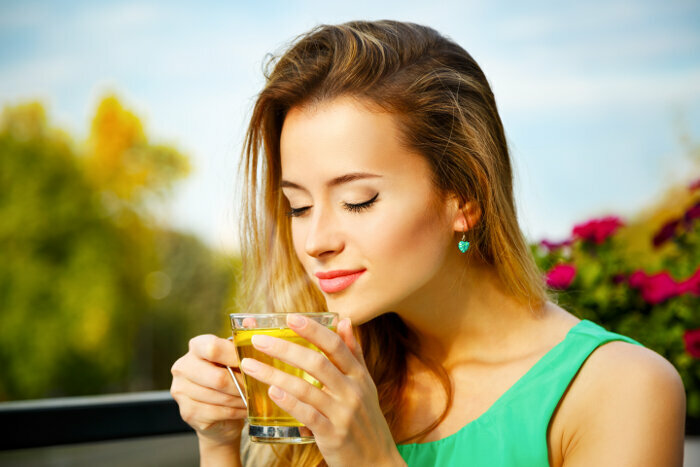 The only downside to drinking chickweed tea is that the nutrient content is not as rich as some other herbal teas, however mixing with a powerhouse green or citrus tea takes care of this minor issue. In the past, ladies would use chickweed water as a weight loss remedy. Chickweed leaves are edible and taste an awful lot like young spinach – yum! 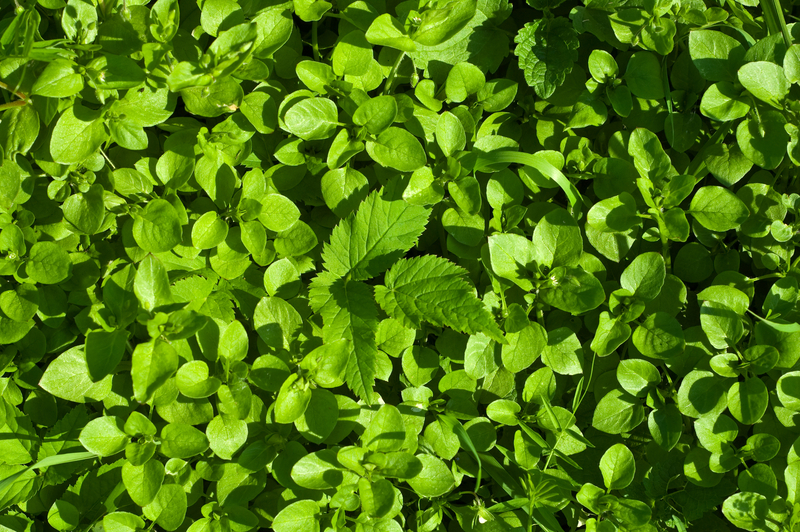 Even though chickweed is delicious, many North American gardeners consider it a nuisance. Bathing in chickweed, roses and orange blossoms is thought to attract new love. Chickweed can be confused with two other plants, both of which are poisonous.